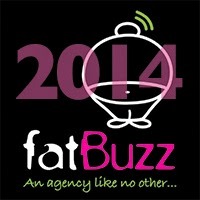 It's been another momentous year for fatBuzz and thanks to all of our clients for keeping us very busy for the whole of 2014, including this week! It has also been a great year for many of our clients with many of them reporting increased turnover and profits. This is also reflected by the number of awards they've been winning. Here's a quick summary of the successes some of our client have enjoyed recently. Paul Gibson, one of Carbon's financial planners also featured as a winner at the Money Management Financial Planner of the Year Awards, and Carbon were also named among the Best of the Best in the Institute of Financial Planning's Accredited Financial Planning Firm of the Year. Estate Life celebrated a milestone, it's been 10 years since founder Joanna Goddard first advised an estate about diversification. They have come a long way since then, this year Estate Life provided the keynote speaker at the Country House Business Innovation Show in London and have already been booked for the same event next year! It's been and very busy year for Dean's, not only have they completely refurbished their bistro and visitor store, they have successfully launched their online store and expanded their oversees sales. All of this completed while achieving and Investors in People Bronze Award. We also look forward to working with Dean's during their 40th anniversary celebrations in 2015. La Favorita Delivered were successful at the Scottish Italian Awards, an event that fatBuzz are proud to sponsor. They picked up the coveted Best Pizza Award 2014. They were also shortlisted in the prestigious PAPA Awards in London. We're sure they will be featuring in many more awards ceremonies as they expand into Glasgow with the opening of a new store in Gibson Street, Glasgow. Nick described the transaction as a "match made in heaven" saying that it lets his business retain its own identity while enjoying the benefits of being part of Abica, with which it shares many clients. We look forward to working with PCR Business as these exciting developments unfold. Porrelli Ice Cream enjoyed success at this year's ROCCO Awards, they won the Best Family Business 2014, a fitting reward for all of their hard work and the excellent products they create. Perhaps more fittingly though because they will be holders of the award during 2015 - their 90th year in business. It's a true milestone and we look forward to working with them during this important part of their history. It's also worth mentioning another business celebrating a milestone anniversary this year, Saks Hair Salons celebrated their 40th year in business, congratulations on a great achievement. Saks did it in style with a huge presence at the Clothes Show Live. We look forward to working with Saks in 2015 as they start their journey towards the big 50! But, Spectrum's biggest achievements of the year happened away from the awards ceremonies, after handling the cleaning and waste management for the biggest global sporting event of the year, they went on to do the same for the Ryder Cup at Gleneagles. All this while expanding the core business into new sectors and completing many other special events along the way. We've enjoyed working with them through the year and watching their online journey progress with some great results, but we're sure there's even better to come next year!